Mazda places three nameplates inside the Top 10, including the CX-3. The Australian new car market starts the year on the right foot with a 0.6% year-on-year increase to 84.910 registrations. The big figure this month is 793: that’s the tiny difference between sales of passenger cars (34.920) and SUVs (34.127) – never have the two categories been so close. This gives SUVs a 40.2% market share vs. 39.2% in January 2016 and 33.7% in 2015, while passenger cars are at 41.1% vs. 41.7% in 2016 and 48.5% in 2015. To this, add 13.942 light commercials and 1.921 heavy commercials. December being an annual peak for fleet sales, January is traditionally a strong private sales month and 2017 is no exception: privates are up 4.2% to 46.905 vs. just 31.393 for business sales (-5.7%), 2.552 for government sales (-4.2%) and 2.139 sales to rental companies (+16%). 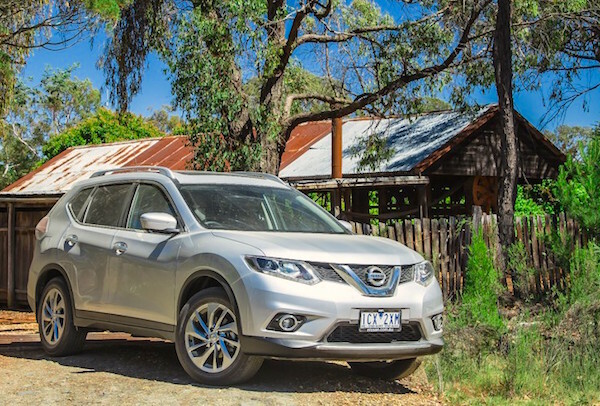 The Nissan X-Trail hits its highest ever monthly ranking in Australia at #8. The largest States are New South Wales-Sydney (29.068 +2.4%), Victoria-Melbourne (24.636 +9.4%), Queensland-Brisbane (15.709 -8.6%), Western Australia-Perth (7.037 -10.5%), South Australia-Adelaide (5.134 -1.4%), ACT-Canberra (1.438 +5%), Tasmania (1.337 +3%) and Northern Territory (652 +4.2%). The leading sources of vehicles sold in Australia in January are Japan (25.505), Thailand (19.642), South Korea (12.753), Germany (6.759), Australia (3.766 – this figure will be zero in 2018), the United States (3.734) and the United Kingdom (2.739). The most popular segments this months are small cars (17.830 +2%), medium SUVs (13.956 +9%), large SUV (10.970 +2%), 4×4 utes-pickups (9.526 -4%) and small SUVs (8.182 -4%). Kia ranks #8 brand, its highest ever. The Cerato hits a record #13. Toyota (14.8%) remains the #1 brand in Australia above Mazda equalling the all-time high market share of 11.9% it also hit a year ago. Holden surprises with a 5.3% improvement to #3, overtaking Hyundai (-4.2%). Ford is consistent at +7.4% in 5th place above Mitsubishi (+1.4%) and Nissan (-9.9%). 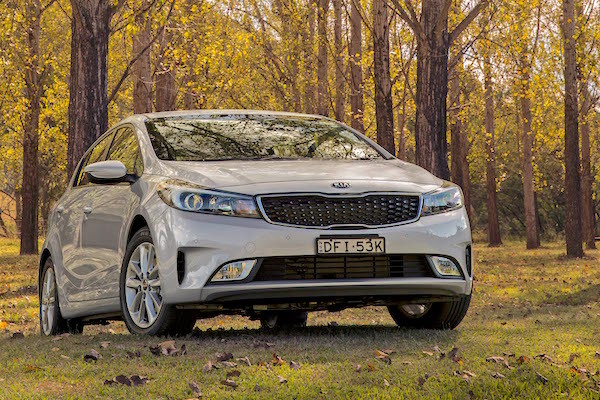 Outstanding performance of Kia up 28.9% to a highest-ever 8th place, placing the Cerato at a record #13 with sales up 89%. Subaru (#9) is up an equally impressive +17.7%, while outside the Top 10 Honda (+19.7%), Renault (+20.3%), LDV (+27.8%), Infiniti (+36.8%), Jaguar (+64.2%) and Maserati (+88.9%) also impress. On the other hand, Volvo (-17.7%), Isuzu (-20.9%), Citroen (-48.6%), Jeep (-65.8%) and Ssangyong (-70.5%) all struggle. 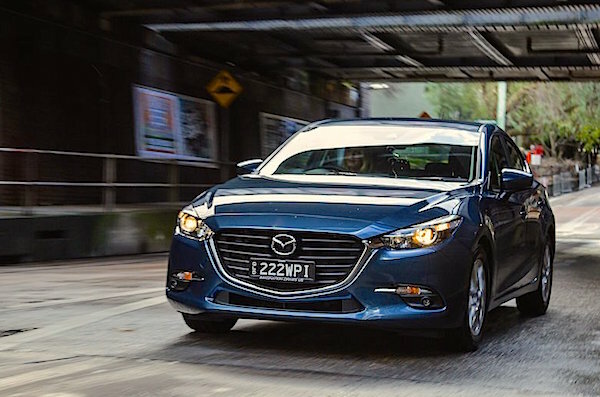 Like every January since 2012, the Mazda3 is the best-selling vehicle in Australia this month. A favourite with private buyers, the Mazda3 has been the best-selling vehicle in Australia in January of every single year since 2012 and follows suit in 2017 in spite of declining sales at -7%. The Toyota Corolla evolves in the opposite way at +7% in 2nd place, while the third best-seller in the category, the Hyundai i30, is relegated to 5th place overall (+9%) just ahead of the Holden Commodore enjoying a last minute revival at +58%. 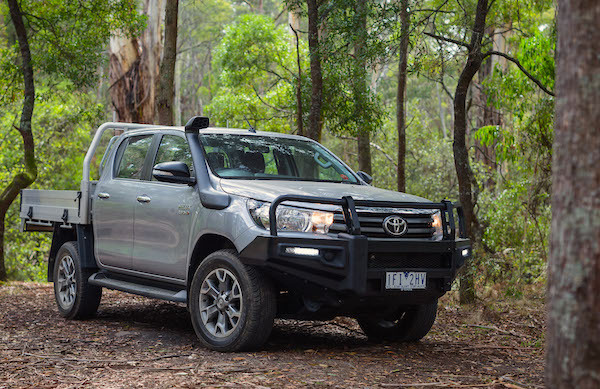 Hero of 2016 as the very first ute to lead the annual Australian sales charts, the Toyota Hilux has had to fight tooth and nail to remain in its segment lead this month: up 15% to 2.702 sales it is only 20 units above its archenemy the Ford Ranger (+8%). In fact, looking at the more lucrative 4×4 ute sales, the Ranger (2.221) is runaway leader ahead of the Hilux (1.964) and Holden Colorado (1.333). The Hilux makes up for it with its budget 4×2 offering at 738 vs. 401 for the Ranger and 385 for the Mazda BT-50. Keep in mind most Hilux 4×4 sales are through the top-of-the-line SR5 variant while most Ranger sold are XLT and Wildtrak variants priced from AU$ 60k up. 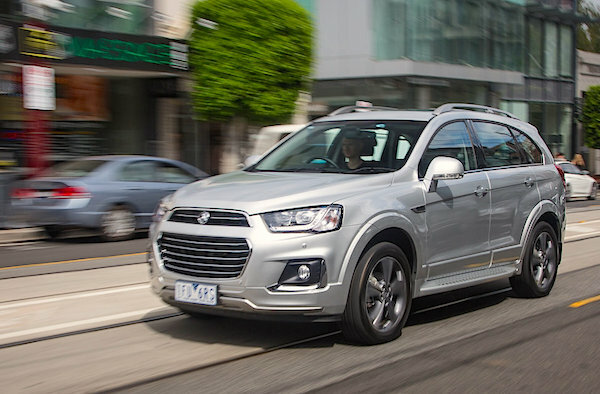 The Holden Captiva is up 3-fold on January 2016 to #15. If a year ago there were four utes in the January Top 10, this time SUVs are the stars of the show, also totalling four among the country’s ten best-sellers, a record. The Mazda CX-5 (+10%) remains the most popular, just ahead of the Nissan X-Trail (+47%), hitting its highest ever ranking in Australia at #8 with previous bests of #9 in November 2015 and #10 in March 2012. The Hyundai Tucson (-19%) and Mazda CX-3 (+7%) follow. 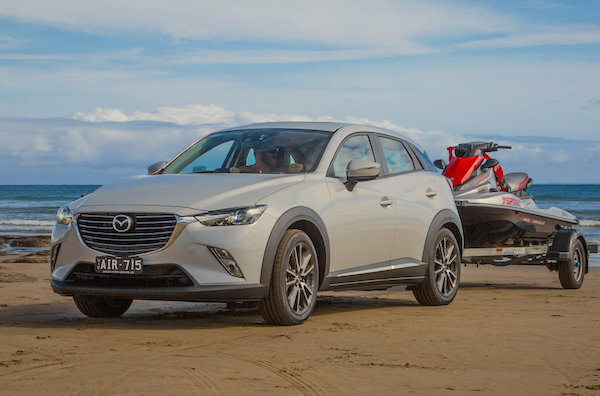 This is only the second time the CX-3 breaks into the monthly Australian Top 10 (#9 in May 2016) and it also means Mazda places three nameplates inside the Top 10 vs. just two for Toyota. Continuing with SUVs, notice the Toyota RAV4 (#12), Holden Captiva up 182% to #15, Mitsubishi ASX (#17), Toyota Prado (#21), Kia Sportage (#22) and Honda HR-V (#23). Full January 2017 Top 50 All-brands and Top 285 All-models below.